This UNESCO World Heritage site was previously a stronghold for the Eastern Lowland Gorilla, however severe civil unrest in the 1990s made travel to the park dangerous. 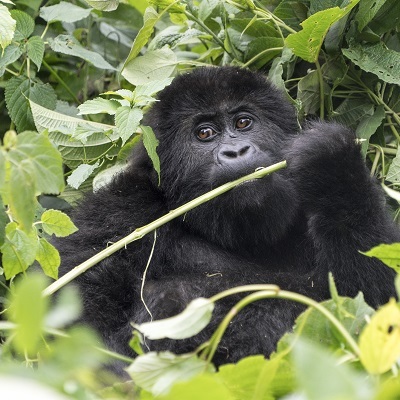 Gorilla populations have suffered due to extreme deforestation and hunting for bushmeat. Our support has provided vital infrastructure, vehicles, equipment and community conservation committees to safeguard the park.